About ASG | Colorado Mesa Univ. 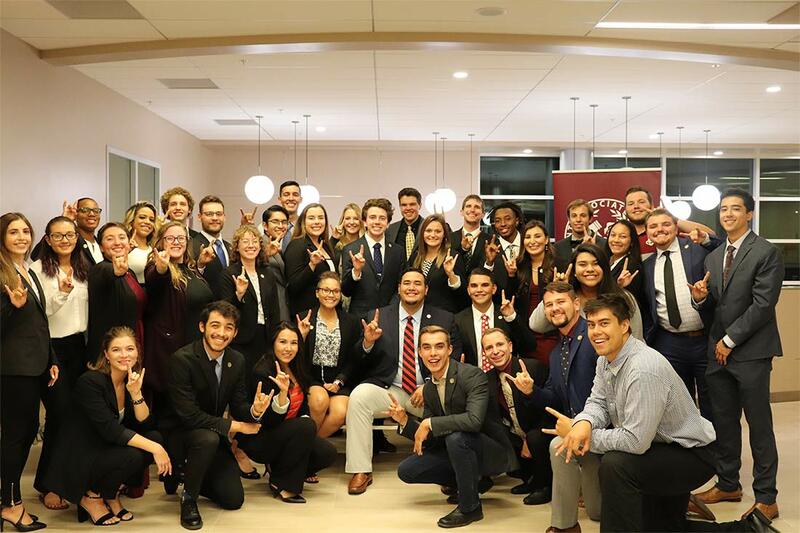 Associated Student Government (ASG) is made up of Colorado Mesa University students. Elections are held once a year at the end of Spring Semester, with one year terms. We are here to allocate money to clubs and organizations as well as plan fun events to showcase Mavericks for all of their work. Student Senate is made of 26 Senators, elected by the students in the Spring who serve to initiate and enact necessary legislation. Student Supreme Court has 3 Supreme Court Justices that serve to address any questions about ASG's constitution and handle grievances. ASG strives to be the voice of the students, and represent the variety of needs. Senators allocate student funds to various clubs, organizations, and students for the purpose of enhancing the experience of the students or the name of the school as a whole. Senators meet weekly for the General Assembly Meeting to allocate funds and are involved with other committees as well. For the 2018-2019 academic year ASG will meet each Wednesday at 7p.m. in room 213 of the University Center. Anyone is welcome to attend our meetings, and to partake in public input. Have you checked out our Instagram page?